Discover the latest developments in 3D printing techniques; from medical research to geological analysis. This vision of the effects of additive manufacturing – or 3D printing – was espoused by Dale Spencer, chief economist at BP, when speaking at the launch of the company’s annual long-term forecast in January. Dale has a vision which could be transformative for the oil industry, and in this article I would like to focus on how 3D printing may help upstream oil exploration. Sitting in front of our work stations, reviewing and interpreting data in three dimensions, may lull us into a false sense of security, because we are really only seeing it in two dimensions. Are we missing a visualisation tool which could aid comprehension and move a prospect from the screen to reality? I will discuss the process of cognition, and give examples in other disciplines, like architecture, medicine and design, where 3D printing has helped understanding, before finally hypothesising on how 3D printing may help in our field. The brain has evolved over millions of years to understand things in three dimensions. Our language also reflects the three-dimensional tactile nature of cognition; for example, the verb ‘to grasp’ is often used when understanding a concept, but it is normally used for an action on a tangible solid object. This concept, that the brain most easily understands three-dimensional images, has been recognised by model makers for centuries, as they convert terrain maps into models, which, although a labour intensive process, removes a major cognition process for the observer trying to visualise contours as terrain, and allows the brain to focus on processing the more subtle information displayed. 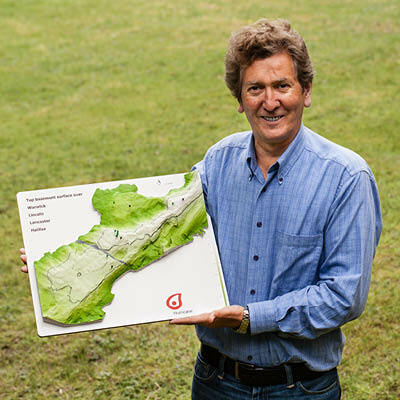 An example of how 3D printing is helping to overcome this hurdle can be seen in the 3D model (right), which shows the fortifications in the Valais region of Switzerland. It was commissioned by the museum at Naters in Switzerland to illustrate how the defensive positions were chosen with great care to make use of the terrain, to not only be impregnable but also control access to trade routes. Unsurprisingly, one of the first professions to embrace the process of 3D printing was architecture, and the advantages of converting virtual plans and images from the desk top to reality quickly became apparent. For example, 3D printing of the Victoria underground station refurbishment for Transport for London allowed the complex system of tunnels, escalators, utilities etc. to be visualised and shared with all the stakeholders in the project. Closer to home, a 1:100 scale model of the Ivar Aasen platform, over two metres in height, can be seen in the reception area of the Aker BP offices in Trondheim, Norway. Another example where 3D printing is key in aiding cognition, and in fact acts as a life saver, is in medicine. Printing models of the heart before an operation allows the entire surgical procedure to be planned and reviewed before the operation, which can significantly reduce the time required to perform long and complicated surgery, and often eliminates unexpected complications and surprises. Five-year-old Mia Gonzales, seen in the opening photograph, suffered from a rare heart malformation: a double aortic arch, a condition in which a vascular ring wraps around either the trachea or oesophagus, restricting airflow, leaving her constantly tired and very sickly. Before commencing production of any product, customer evaluation and engineering prototypes are needed in order to bring a product seen on a flat Computer Aided Design (CAD) screen to life. 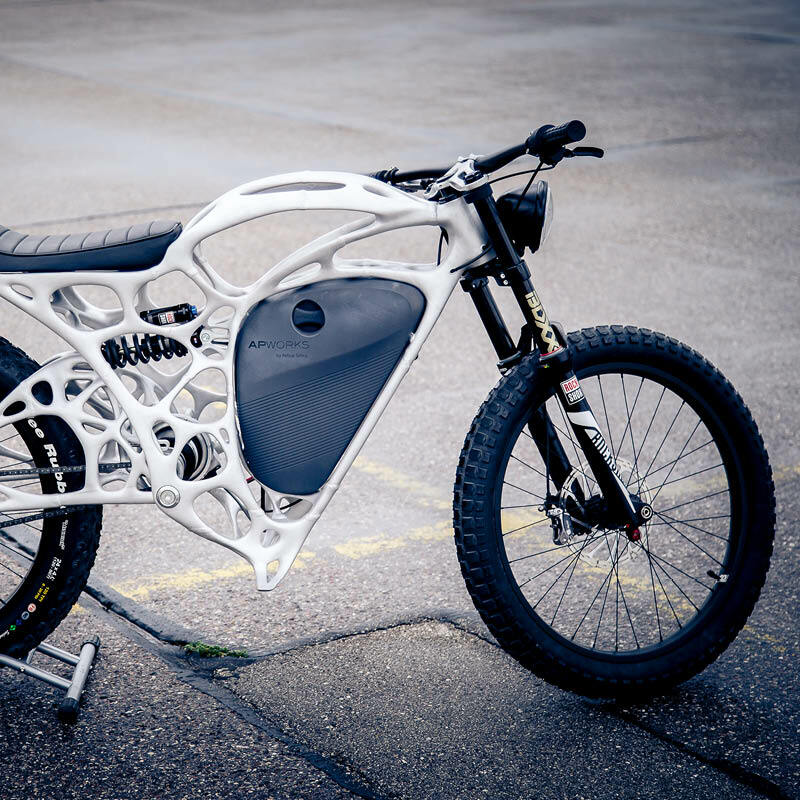 From glasses to motorbikes, 3D printed prototypes let one assess the look and feel of the product. The technique also permits rapid prototyping, allowing the functionality of a design to be tested, changed and re-tested in a short space of time and at much less expense when compared to traditional methods. An example of how revolutionary embracing 3D printing in design can be is a new civilian turboprop engine being developed by GE. The redesign reduces 855 separate parts down to just 12, with over a third of the engine 3D printed. The first test flight is scheduled for late 2018. 3D visualisation to aid comprehension of the subsurface is not new. In the late 1980s and 1990s visualisation centres with 3D glasses were all the rage in the exploration industry, and in more general use 3D films and televisions using similar technology took off in the noughties, but these failed to connect with the viewer and have faded. What has been missing is an emotional, tangible connection, so I have teamed up with a German company, Shapewerk, to see what can be offered. The company specialises in converting terrain data into 3D models with satellite imagery superimposed, and hence is well placed to expand into making geological models which require a similar skill set. To show what Shapewerk can do, have you a favourite mountain range, island or perhaps just your local area you would like to see as a 3D model? Shapewerk allows you to select on a 2D map any location on earth and within five minutes a fully rendered 3D image will be available to review on your computer, on top of which can be projected a satellite image, as in the example above. This process is free of charge, allowing exploration of any area of interest. The first oil-focused 3D printed model using Shapewerk technology is a model of the top reservoir for Hurricane Oil’s Warwick, Lincoln, Lancaster and Halifax fields, printed in full colour, showing the oil water contact (OWC), controlling fault and well locations. Clare Slightam, Hurricane’s Subsurface Technical Director, was very pleased with the resulting model. She said, “We intend to use our 3D model at meetings involving non-technical people such as potential investors,” adding, “for a non-geologist who is not used to working with maps on a regular basis, a 3D representation is a valuable way of helping to picture a geological setting.” The model was printed to an accuracy of 0.1 x 0.1 x 0.1mm using an x, y, z input dataset on a 25 x 25 x 1m grid. Granite basement topography representing the top of the largest undeveloped oil field in UK waters (scale 1:100,000). 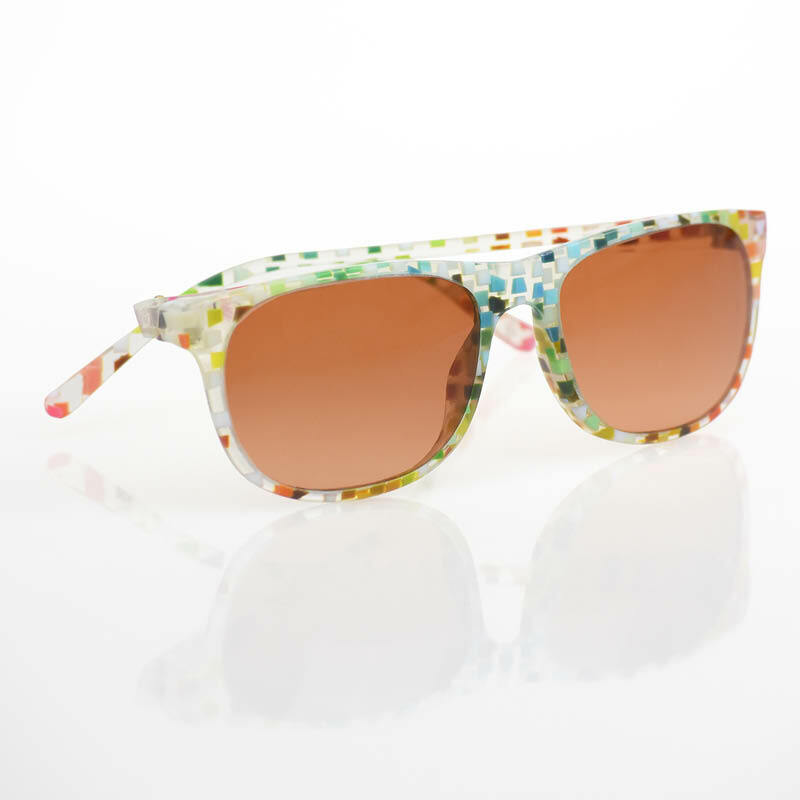 The ability to print in full colour is a new development in 3D printing and allows any attribute to be shown on a given surface – in the Hurricane image the colour scale was chosen as depth to top surface, but it could have been any other attribute. This ability, combined with the improved attribute quality available as a result of the advances of broadband acquisition and processing, allows a better understanding of the reservoir. We are now working on a model showing top reservoir with acoustic impedance overlay clearly delineating the OWC. More complex models can also be printed including features such as salt diapirs, reverse faults, multiple layers and reservoirs. 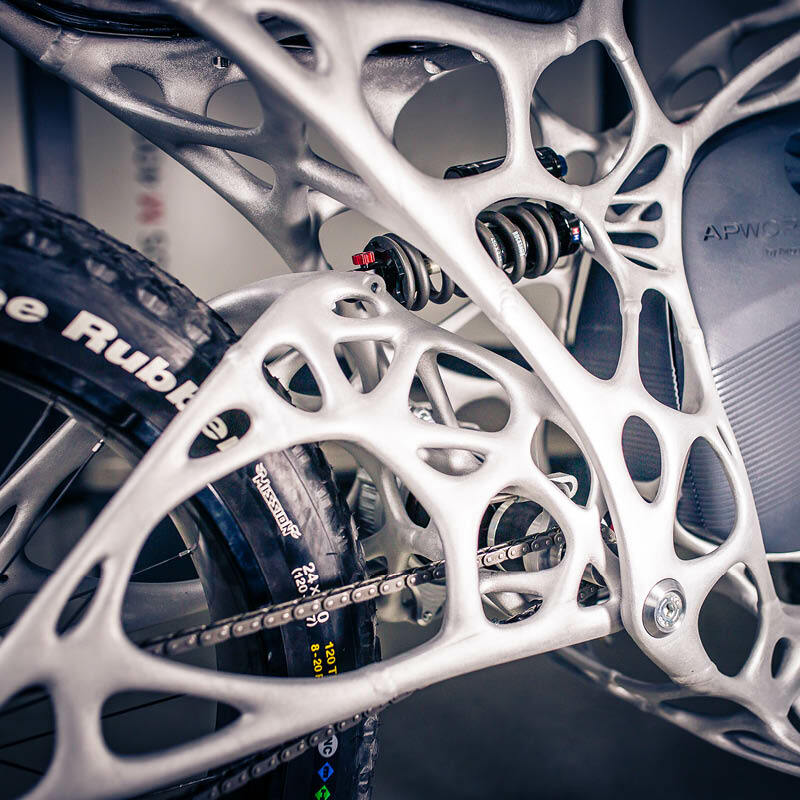 As discussed, other industries have embraced 3D printing to give a tangible dimension to designs produced on work stations, helping in understanding the product and allowing stakeholders to focus on the design. In oil exploration this advantage has not yet been adopted, but I believe there are several areas where a 3D printed model can help convert prospects to reality. Small oil companies spend a lot of time working up prospects before they can attempt to farm out a stake to allow the discovery to be developed. Time is spent at trade shows and data rooms trying to entice larger companies or investors to join them with, in general, low success rates. Differentiating a company from competitors, a 3D model of its prospect at a trade show would act as a focus for discussion of the depositional environment, burial history, oil migration paths and source rock, generating further interest. I also believe basin-wide 3D models of a given key surface – for example the Base Zechstein in the southern North Sea or BCU in the central North Sea – showing developed fields and prospects together with an attribute such as gravity, magnetic or isopach information to a deeper horizon may allow further insights. These basin-wide models may also be of use in areas of the world which are less mature. Built from 2D data, they would be a less accurate model, but would allow explanation of the regional geology and help to demonstrate the advantages of a multiclient survey location. After graduating in physics, with geophysics option, from Birmingham university, Lawrence Pidsley worked as a logging engineer for the open-cast mining section of the coal board, before moving on to gravity and magnetic modelling for Hunting Geology and Geophysics, including a stint in Mozambique, before studying for a geophysics M.Sc., again at Birmingham. On graduating he went to work for Western Geophysical, working up from seismic processor to depth imaging staff geophysicist. On leaving WesternGeco he studied for an MBA at Kingston University, before joining PGS in 2006 as depth imaging team leader. Lawrence left PGS in 2016 to embark in a new direction: 3D printing and how it can help in the oil exploration industry. Christopher M. Prince Ph.D, PetroArc International. Digital archiving of core information affords the oil and gas industry an opportunity for rapid evaluation of core. Maximising fixed cutter bit performance in shales and carbonates.